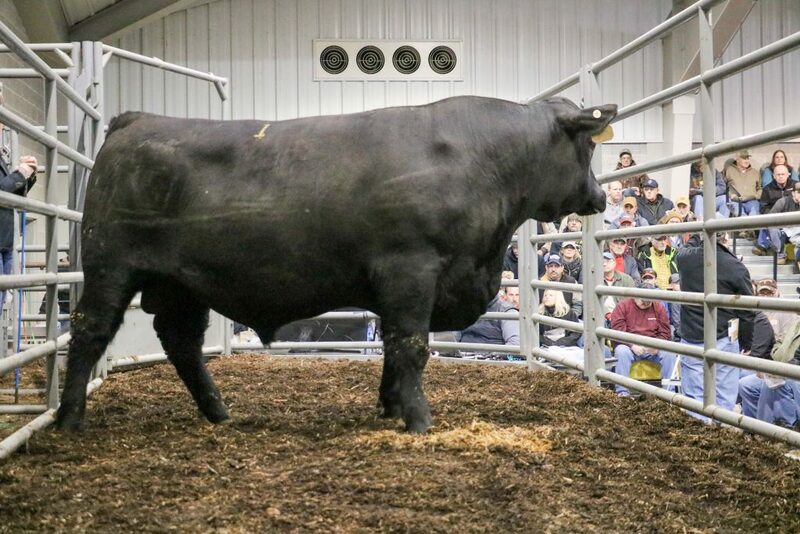 ROCK SPRINGS, Pa. — Beef producers can buy some of the best genetics in the region during a bull sale at Pennsylvania’s Livestock Evaluation Center in Pennsylvania Furnace, Centre County, March 29 at noon. Angus. Consigned by Shipman Farms of Sunbury, Northumberland County; adjusted yearling weight, 1,462 pounds; average daily gain 4.79 pounds; adjusted loineye 13.0 square inches; 64 Angus will sell. Simmental. Consigned by SVJ Farm of Amity, Washington County; adjusted yearling weight, 1,371 pounds; average daily gain 4.26 pounds; adjusted loineye 14.4 square inches; 13 Simmentals will sell. Hereford. Consigned by Spring Pond Farm or Branchport, N.Y.; adjusted yearling weight, 1,158 pounds; average daily gain 4.83 pounds; adjusted loineye 12.83 square inches; six Herefords will sell. Red Angus. Consigned by Brackel Ridge Cattle Co., Cincinnatus, N.Y.; adjusted yearling weight, 1,363 pounds; average daily gain 5.05 pounds; adjusted loineye 14.23 square inches; eight Red Angus will sell. Black Hereford. Consigned by Sherman Beef Cattle, Montgomery, Lycoming County; adjusted yearling weight, 1,104 pounds; average daily gain 4.09 pounds; adjusted loineye 12.1 square inches. SimAngus. Consigned by Palmer Cattle Co., Linesville, Crawford County; adjusted yearling weight, 1,430 pounds; average daily gain 4.83 pounds; adjusted loineye 14.5 square inches; four SimAngus will sell. For more infomration, call Greg Hubbard at 814-238-2527, email ghubbard@pa.gov, or visit www.livestockevaluationcenter.com.